On February 12, 2015, within 40 minutes of the Gujarat High Court order denying anticipatory bail to social activists, Teesta Setalvad and Javed Anand, the Gujarat police arrived at their residence in Mumbai. Thanks to the Supreme Court issuing a stay on the high court order on the same day, and extending this stay from time to time, the couple have been able to evade arrest and custodial interrogation. On June 16, 2016, with the Central Government cancelling the registration under Foreign Contribution Regulation Act, of the Sabrang Trust, an association run by Setalvad and Anand, a fresh controversy has arisen, although the grounds for doing so are unclear. In this interview to LiveLaw, Setalvad and Anand answer specific questions concerning this controversy. Q: So, what triggered the controversy in the first place? A: It is only after February 12, 2015, when the Gujarat Government failed to arrest us in Mumbai, that Government of Gujarat’s Home department wrote to MHA and the MHA round of inspections of the trusts and then Sabrang Communications began. The Gujarat Government’s letter to MHA dated March 10, 2015, which started it all, makes it very clear. Q: The order cancelling the FCRA registration of Sabrang Trust says more than 50% of the foreign contribution obtained under the FCRA has been spent on admin expenses without prior permission of the Central Government. A. In response to this alleged violation, we had submitted a detailed worksheet along with copies of our annual returns to show that admin expenses during FY 2010-11 was 30% of the total, and during FY 11-12 was 31.5% of the total. Apart from the blanket claim that our admin expenses during these two years were 64.23% and 55.14% respectively, MHA has chosen not to explain how their figures were arrived at. MHA's response to our detailed explanation was simply three words in the beginning of their suspension order: "found not satisfactory". “Provided that the expenditure incurred on salaries or remuneration of personnel engaged in collection or analysis of field data of an association primarily engaged in research or training shall not be counted as administrative expenses”. It is our contention that FCRA department has chosen to ignore the latter part of Rule 5 which clearly states that expenses directly related towards furtherance of stated objectives are NOT to be treated as admin expenses. Q. How did you explain the payment of Rs. 50 lakh, out of the foreign contributions under the Act, to Sabrang Communications which is not registered with FCRA? A: We see no veil that needs piercing here. Our contention is simple: Between FY 2009-10 and 2011-12, Sabrang Trust received grants from Ford Foundation in annual instalments for a 3-year project - Conflict Resolution and Peace Building. For the execution of the project, the Trust needed office space, office equipment (computers, printers, photocopier, cable internet etc) and staff. The Trust had none of these for executing the project. The Trust could have purchased or rented office space and equipment, hired staff for this 3-year period except that it did not have enough funds to purchase; even rent/hiring is an expensive proposition in Mumbai as is well known. For the Trust, therefore, entering into an expenses sharing arrangement with Sabrang Communications, an organisation which was formed in 1993 (years before Sabrang Trust came into existence and became active) and which had invested lakhs over the years in furnishing office space, purchasing equipment, hiring and training staff to address the issues of communalism and caste. Such a cost-saving arrangement for the Trust was based on resolutions passed by 4 of the 6 Trustees of Sabrang Trust (with trustees Teesta Setalvad and Javed Anand abstaining from this decision-making as both were directors of Sabrang Communications (SC). It may be noted that not even a rupee was paid by the Trust to SC by way of rent for office space. The amounts reimbursed to SC on a monthly basis as per resolutions of Board of Trustees were towards the furtherance of Objects of SC and as per the project/budget sanctioned by Ford Foundation. Not a rupee received by SC from ST was subsequently paid by SC to Javed Anand or Teesta Setalvad. Both received remuneration directly from the trust for their executive responsibilities as Project Director/Project Administrator of the Ford Foundation-supported project. Again, there is no veil that needs piercing here. Section 3 of FCRA 2010 prohibits certain persons, including editors, publishers etc. of a registered newspaper, from receiving foreign contribution. However, section 4 titled 'Person to which section 3 shall not apply states: "Nothing contained in Section 3 shall apply to the acceptance, by any person specified in that section, of any foreign contribution received by him, subject to the provisions of section 10 [Note: not applicable in our case] -, (a) by way of salary, wages or other remuneration due to him or to any group of persons working under him, from any foreign source or by way of payment in the ordinary course of business transacted in India by such foreign source". For example, take the case of an MP who too is prohibited from receiving any foreign contribution under section 3. But as clearly stipulated under section 4, he/she can charge and accept fee for legal services provided to a foreign source without FCRA violation. The provisions of FCRA under section 4 being abundantly clear, where is the question of need to hide behind any veil. SC was not paid a rupee to publish Communalism Combat, Javed Anand and Teesta Setalvad was not paid a rupee as editors of the same journal. Q. Did MHA offer any reasons to reject this explanation? A: No reason was given, except the same "found not satisfactory" mentioned in the suspension order. The cancellation order now has laced the MHA's non-application of mind with the following: "The reply of the Association along with the records made available by them as also that available with us was examined in detail and it was found that the same was not satisfactory; that the same did not provide adequate explanation vis-a-vis the violations found..."
Q: The cancellation order also alleges mixing of domestic and foreign funds. A: Sabrang Trust had an agreement with the FCRA-registered Centre for the Promotion of Social Concerns (CPSC), Tamil Nadu, to introduce human rights education in schools in Maharashtra. A budget was approved by the latter for the project period June-December 2010. Accordingly, the programme started in June but the first instalment of the agreed amount was received from CPSC only in October 2010. By then ST had already spent an amount of Rs. 2,46,954 from its domestic account. This same amount was reimbursed to the domestic account from the FCRA a/c. During their inspection of ST accounts in April 20015, the 4-member FCRA's inspection team headed by a deputy secretary had readily admitted that such a situation is common with many NGOs where FCRA amount arrives late and that reimbursing the domestic account for actual expenses on the FCRA funds-supported project does not mean mixing of accounts. A book, "FCRA, 2010 Made easy -- 300 Q & A", written by a former deputy secretary from FCRA department, J. K. Chattopadhyay also clearly states that such reimbursement does not mean mixing of accounts. Why MHA now insists this is mixing of accounts is best known to its officials. Q. Payment to SC which purchased bulk SMS facility from Sandesha Online Services, out of the foreign contribution to ST, is another allegation levelled against you. A: This refers to payment of an amount of Rs.6,617. During FY 2010-11, on a request from the then Secretary, Minorities Development Department, Maharashtra Government, Sabrang Trust agreed to help publicise the government's educational scholarship schemes for minorities in the state. One of the means for publicity was to send bulk sms messages to educational centres whose mobile numbers were made available to the Trust by a government department. For this purpose, ST spent a total of around Rs.10,000 to purchase bulk sms facility. One of the bills, from Sandesha, was wrongly made in the name of Sabrang Communications and inadvertently paid for by the accountant out of petty cash. Since these bulk sms-es were exclusively for ST, the same amount was reimbursed to SC. Publicising a government scheme for educational scholarships is most certainly part of the Objects of the Trust and also among the approved activities proposed to be undertaken as part of the Ford Foundation supported project. Q: Another allegation is that out of the foreign contribution, Rs 12 lakh paid to Javed Anand and Teesta Setalvad for expenses incurred through their personal credit cards. A: In this respect, MHA's cancellation order states, "The Association [ST] has made direct payments of approximately Rs. 12 lakh from the designated FCRA account to Citibank and Union Bank of India on account of credit cards belonging to Ms. Teesta Setalvad and Mr. Javed Anand. The cards are issued in the name of individuals and the above mentioned payments of the foreign contribution shall be treated to have been used for personal gain" [our emphasis]. To the best of our knowledge, except in case of large private corporations which ask for credit cards in the company's name for use by its top executives, most credit cards are issued in individual names. As is a universal practice, card holders working for some organisation use their personal card both for personal expenses as also for organisational expenses. 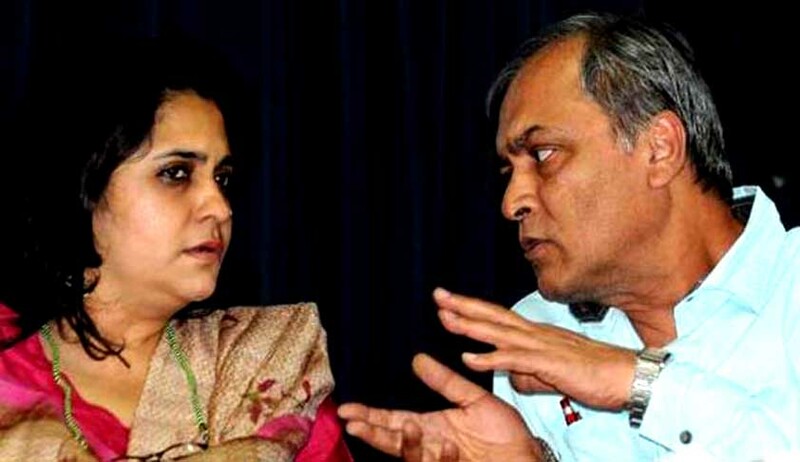 ST has provided to FCRA monthly credit card bills of both Javed Anand and Teesta Setalvad, along with worksheets and monthly bank statements [both of the trust and personal] clearly indicating that the Trust has only been charged for expenses related to the organisation's activities. That personal expenses have not been charged may clearly be seen from the worksheets and the monthly bank statements of Javed Anand and Teesta Setalvad. Despite this, MHA has thought it fit to treat all expenses through credit cards as being "for personal gain". Q: The MHA has alleged that ST received foreign contribution for "activities of cultural nature", though registration is only for "activities of Educational/social nature" and that this constitutes another violation. A: ST received its FCRA registration in November 2007 and towards the end of the financial year it received a foreign contribution amount of Rs.50,000 for the proposed building of a Memorial at Gulberg Society, Ahmedabad. While filing its annual return for this first year of receipt of foreign contribution in the prescribed Form F-3, being new to this form, we inadvertently showed this amount as having been received for 'Maintenance of Places of Historical and Cultural Importance'. We realised our mistake and since then this same amount, which till date remains unspent, is shown in annual returns under an appropriate column. While it is a matter of common sense that the proposed memorial, which had to be abandoned in 2012 due to insufficient donor response, cannot/should not be treated as meant for 'Maintenance of Places of Historical and Cultural Importance.' This was explained to the FCRA inspection team in April 2015 and the corrections in subsequent years pointed out to them. But it appears that our "original sin" cannot be forgiven. Q. Is the pending appeal in SC against denial of anticipatory bail by Gujarat government now infructuous? A: In our view, the investigations have long been concluded, not much has been found and now that what was initiated by the Gujarat police and aggressively followed by the MHA (post March 2015) has 'concluded' in the cancellation of Sabrang trust's license, it would appear so. CJP has been put in the prior permission category. The next date of hearing in the Supreme Court is July 11, so let's see. We are not dealing with normal legal procedures here. But a vindictive state at the very highest level at the Centre bent on using repressive, even extra legal means.